National Merchants Association (NMA) is a merchant services provider and global merchant advocacy group that works on behalf of businesses to eliminate the unnecessary and unreasonable costs associated with accepting credit card and electronic transactions. Since 2012, NMA has been recognized as a leader in e-commerce merchant services and is fast becoming a leader in brick-and-mortar merchant services. NMA is widely-regarded as one of the top agent-friendly companies in the industry, offering innovative partner agent growth programs unlike any in payments today. After debuting at No. 466 on Inc. magazine’s Inc. 500 list of fastest-growing companies in the United States in 2016, NMA continued to post unprecedented growth and revenue and doubed its staff in less than a year. This year, NMA climbed nearly 300 spots to rank at No. 196 in the 2017 edition of the Inc. 500 list. NMA is a proud and active member of the Electronic Transactions Association and participates in the annual Payments Fly-In on Capitol Hill. With more than a dozen Certified Payments Professionals on staff, NMA is a respected authority in the payments industry and its experts speak at tradeshows and conferences all over the world. NMA was founded with the tagline, “We Work For You®,” driven by the idea that businesses need a merchant services provider to go above and beyond to meet and exceed their needs. 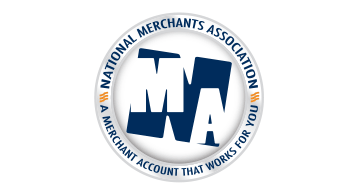 Learn more about NMA’s “Payments Made Personal” approach at www.NationalMerchants.com.